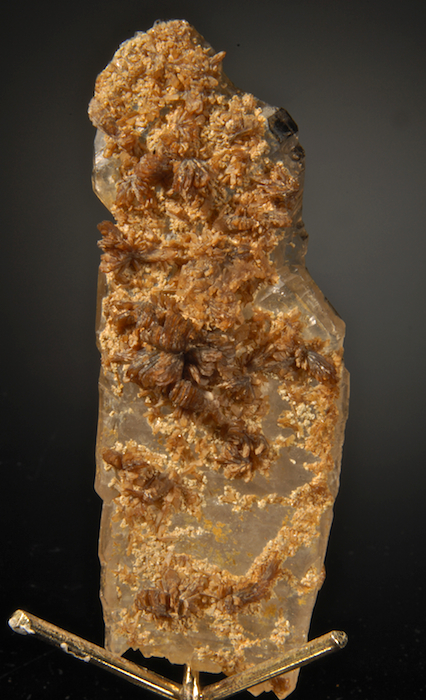 A 10 CM, doubly terminated gemmy quartz crystal showing parallel growth is host to a rich display of Eosphorite crystals. 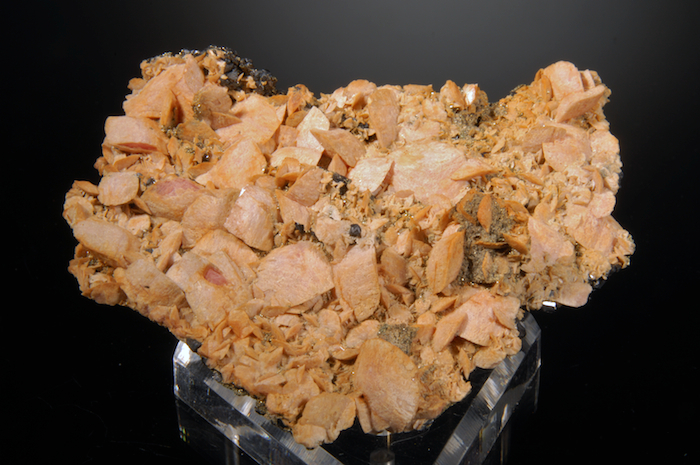 No damage, the Eosphorite blades are in radiating clusters that reach up to 1.7 cm. Ex John Marshall collection, he obtained this piece in the 1970's. 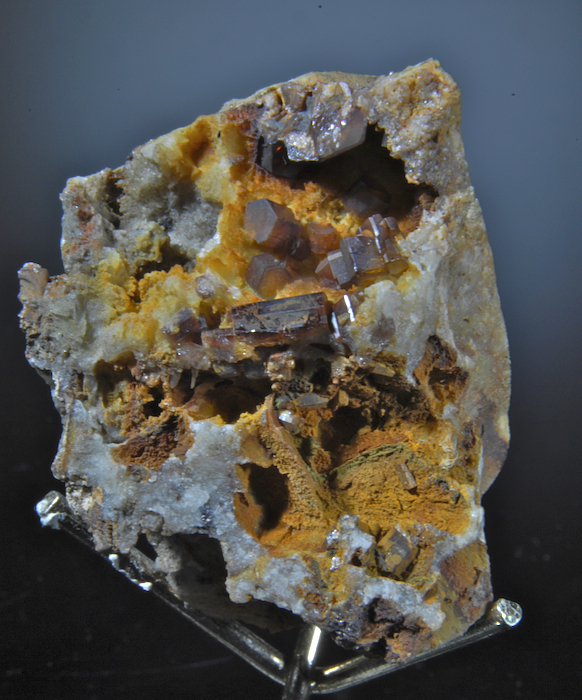 Good Eosphorites are uncommon, and this is an exceptionally fine one. An unusual Beryl crystal, from a find several years ago (1960's) that produced these odd specimens. Bright glassy luster, a deep translucent bluish white zone at the base changes to a clear blue green near the termination. There is micro chipping on some edges, as all pieces had from this find, despite this the specimen is the most pristine I have seen of this style. A very different Beryl that is certainly rare! Brilliant rich blue color, densely deposited crusts on matrix. 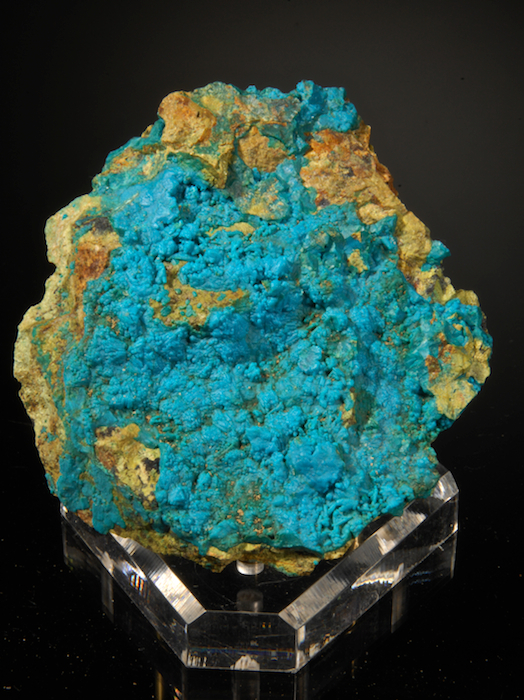 The Chrysocolla is in the form of rounded tube like structures and plates. From J. Hyrsl minerals (Czech Republic) who ascribes the form to a pseudomorph of Atacamite. Very attractive deep color. Eagle Mine, Gilman District, Eagle Co.
A Colorado classic, the Eagle mine has provided many fine specimens over the years. This is a very good Rhodo with individual sharp rhombs to 2 CM covering most of the surface. Scattered Sphalerites on the display side (and many more on the reverse side) add extra sparkle. It is rare to find examples this good from the location. This old timer is in exceptional condition, all the main rhombs are perfect. A great addition for a Colorado collection or a rhodochrosite suite. Fluorite, Wulfenite, Quartz, Dolomite etc. 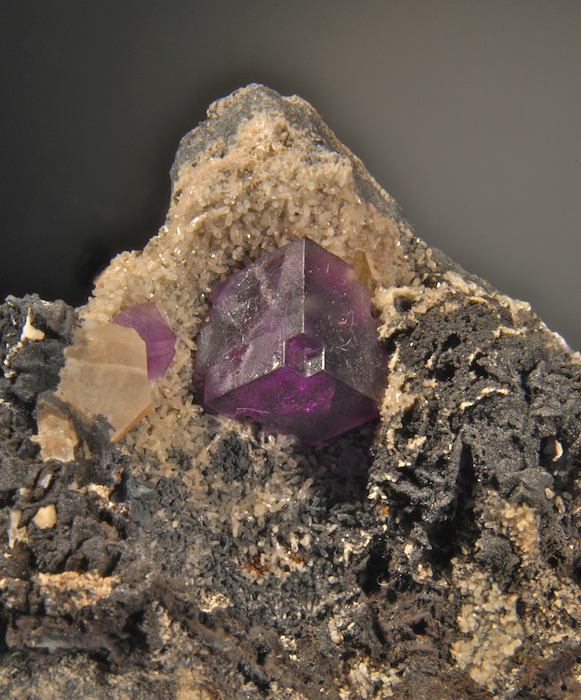 An older specimen of sharp, deep purple Fluorite on matrix from the Mina Ojuela. 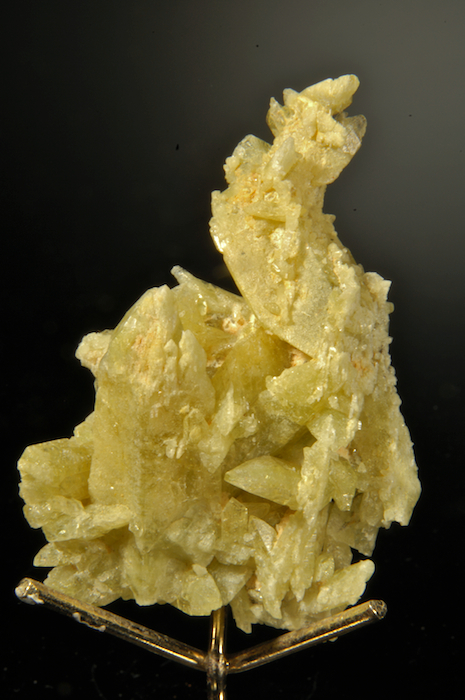 Close examination shows pristine clear Wulfenites, as well as several other species. The Fluorites are undamaged and present well. FL pale red. 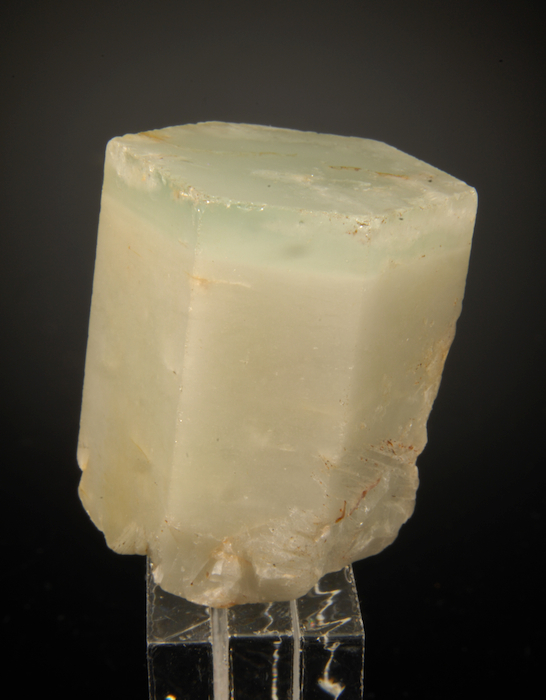 A cluster of pure Brazilianite in stacked crystals reaching 4.6 cm. This is an older piece from the mid 1960s when the early materials from Linopolis were first available. The display face of this piece is pristine, undamaged and very sculptural, it is contacted on the backside which is not visible on display. The crystals are glassy and translucent but have many cloudy inclusions so are not gemmy except on thin edges. Since these are not the top dollar gem crystals this is a very affordable and attractive piece! 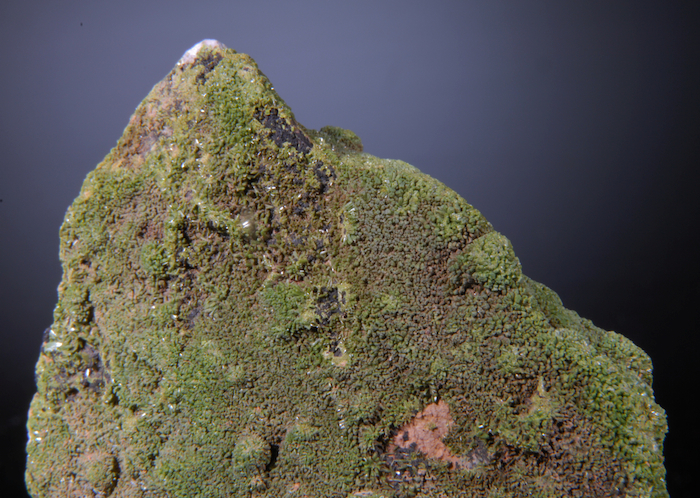 A very nice example of Cumberland pyromorphite with a strong green color. Individual crystals are mostly under 2 mm and form a dense carpet on the matrix. Shows good coverage on both sides. Collected by John Marshall in 1994, his notes state: "one of the best found there, perhaps indicative of what may still be found deeper"
A very old specimen from Bleistadt, this vuggy matrix holds about half a dozen lustrous Pyros. Similar but slightly darker than Bad Ems color these crystals reach 9mm. From the famous Lechner collection that was sold by Schortmann in the 60's. Classic and very rare, in excellent condition.